We’ve tested over 50 tablets. Is it worth buying one? Or do you still need a laptop? Snapshot: The Samsung Galaxy Tab 3 Lite 8GB has a 7 inch screen and WiFi connectivity. But what’s it like to use? Snapshot: The Samsung Galaxy Tab A 10" 16GB SM-T585 has a 10 inch screen and 4G connectivity. But what’s it like to use? Snapshot: The Samsung Galaxy Tab A 7" 8GB SM-T280 has a 7 inch screen and WiFi connectivity. But what’s it like to use? Snapshot: The Samsung Galaxy Tab Active 2 SM-T395 16GB has a 7.9 inch screen and 4G connectivity. But what’s it like to use? Snapshot: The Samsung Galaxy Tab A WiFi 16GB has a 9.7 inch screen and WiFi connectivity. But what’s it like to use? Snapshot: The Samsung Galaxy Tab A SM-T590 tablet has an 10.5-inch screen and WiFi connectivity. But what's it like to use? Snapshot: The Samsung Galaxy Tab A SM-T595 tablet has an 10.5-inch screen and 4G connectivity. But what's it like to use? Snapshot: The Samsung Galaxy Tab E 8GB has a 9.6 inch screen and WiFi connectivity. But what’s it like to use? Snapshot: The Samsung Galaxy Tab S2 VE 8.0 32GB WiFi SM-T713 has a 8 inch screen and WiFi connectivity. But what’s it like to use? Snapshot: The Samsung Galaxy Tab S2 VE 9.7 32GB SM-T813 has a 9.7 inch screen and WiFi connectivity. But what’s it like to use? Snapshot: The Samsung Galaxy Tab S3 9.7" 32GB has a 9.7 inch screen and WiFi connectivity. But what’s it like to use? Snapshot: The Samsung Galaxy Tab S3 9.7" 32GB LTE has a 9.7 inch screen and 4G connectivity. But what’s it like to use? Snapshot: The Samsung Galaxy Tab S4 SM-T830 tablet has an 10.5-inch screen and WiFi connectivity. But what's it like to use? Snapshot: The Samsung Galaxy Tab S4 SM-T835 tablet has an 10.5-inch screen and 4G connectivity. But what's it like to use? Snapshot: The Apple (2018) iPad 9.7" MP2G2B 128GB has a 9.7 inch screen and WiFi connectivity. But what’s it like to use? The answer is: consider a tablet. If all you’re doing is surfing and emailing, then a tablet is ideal. Tablets are lightweight and super easy to use on the couch or in bed – they don’t have the size or bulky battery-charging requirements of a laptop. If you do a bit of typing (longer than emails) or you’re looking for a lightweight work option, then you might want to invest in a detachable or bluetooth keyboard or even go for the Surface Pro range. In general, tablets can be great replacements for much of what you do on a laptop. Compare the tablets we’ve tested. If you plan on taking your devices out and about with you, it’s important they can withstand the elements. Ingress Protection (IP) ratings indicate how resistant a device is to water and solids (dust/dirt). IP ratings have two numbers. The first relates to solids, such as dust, and has a maximum rating of 6. The second relates to water and goes as high as 8. An X rating means it hasn’t been assessed for that type of protection. 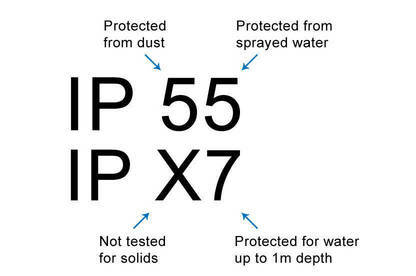 IPX7 – Hasn’t been tested on dust particles, but is resistant to water up to a metre in depth. See here for more on IP ratings and the different levels of protection. Our experts have trialled these tablets. Here’s what they thought of them. 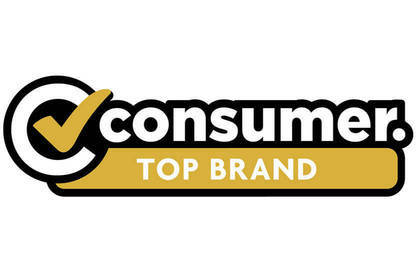 We’ve awarded Apple the Top Brand for tablets. It has good test performance and is way ahead of other brands when it comes to reliability and satisfaction. Apple was the only brand to record above-average reliability. Microsoft, HP and Nextbook were below the 93% category average. If problems arose, HP tablets were most likely to go wrong in the first 6 months (90% of HP tablets that needed repair). For more on tablet reliability, see our survey.